The Pacific Grove Museum of Natural History can host all the events related to your nuptials. 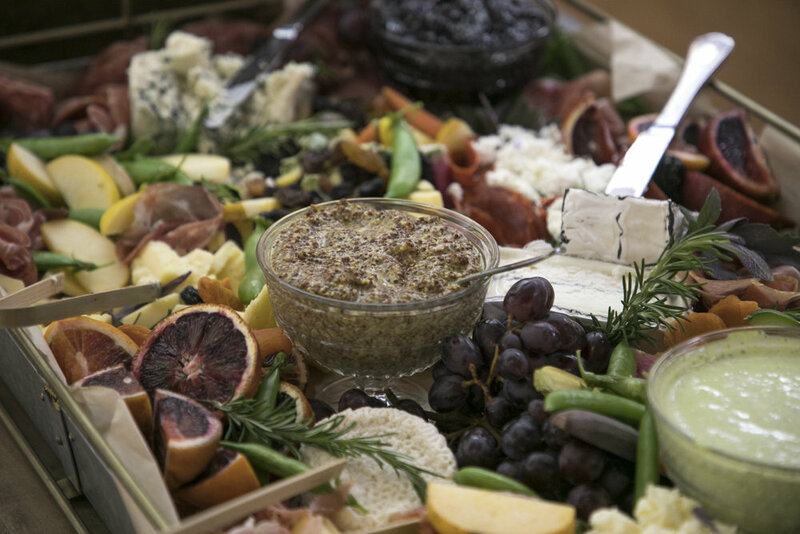 Pacific Grove's popular museum serves as the perfect wedding venue for all of the events surrounding your special day; engagement parties, showers, rehearsal dinners, elopements, ceremonies and receptions- all in the heart of Pacific Grove. Steps from Lover's Point and the Pacific coastline, the museum provides an aesthetically interesting backdrop. 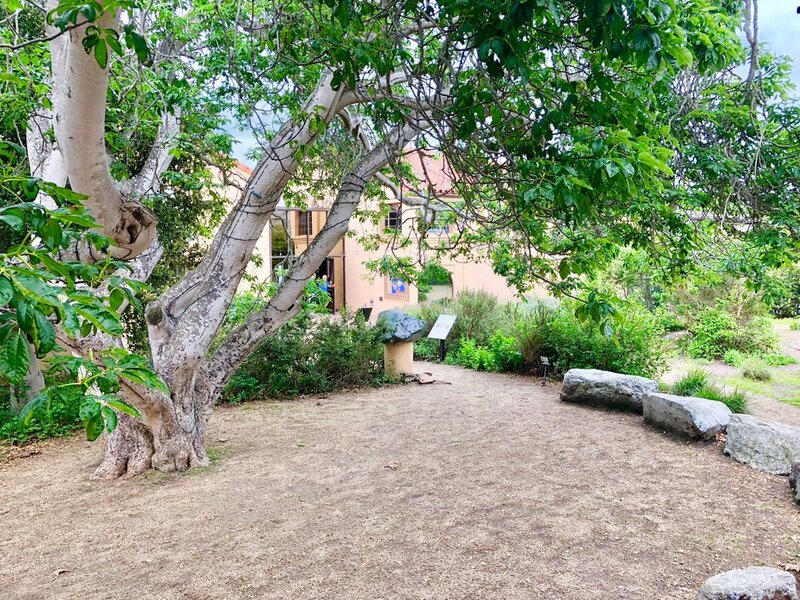 The central coast Native Plant Garden bursts with over 100 species of wildflowers, herbs, and trees. Take your vows under the iconic Buckeye tree and then meander indoors for cocktails and reception. ADA accessible. 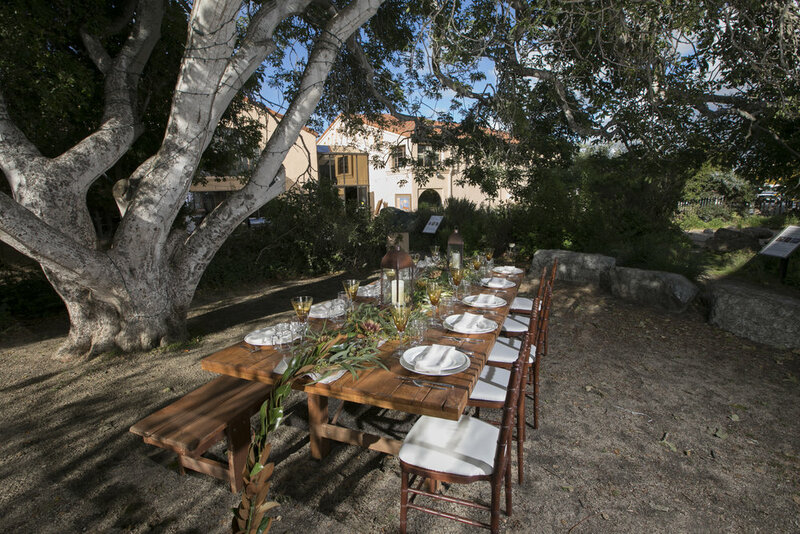 You can plan for a small, intimate wedding in our Native Plant Garden, suitable for 50 guests. Or utilize our entire facility including the Bird Gallery, Main Gallery, Garden, and prep kitchen, to accommodate up to 140 guests. We have several options that can be tailored to your individual needs and desires. Farm table setup under the iconic the native Buckeye tree. Your wedding is one of the most important events in your life, a day you'll celebrate with friends, family and loved ones and cherish for the rest of your life! The Pacific Grove Museum of Natural History would be honored to be part of that celebration and create warm memories. Call us today to check if your special day is available, or to schedule a site visit. Event Coordinator Julia Brooker (831) 648-5716 ext 16, or brooker@pgmuseum.org. Museum floor plan, not including temporary or mobile exhibits. Click images below to scroll through the photo gallery.